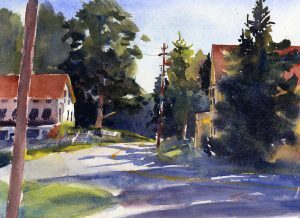 Exhibit includes one of my en plein air landscape paintings, “In Weston”. The new galleries inside a restored, historic barn are home to this unique exhibition of more than eighty outstanding watercolor paintings from across North America. A panel of jurors, holding membership in national watercolor societies, select the best paintings from a large pool of entries for the exhibition itself. 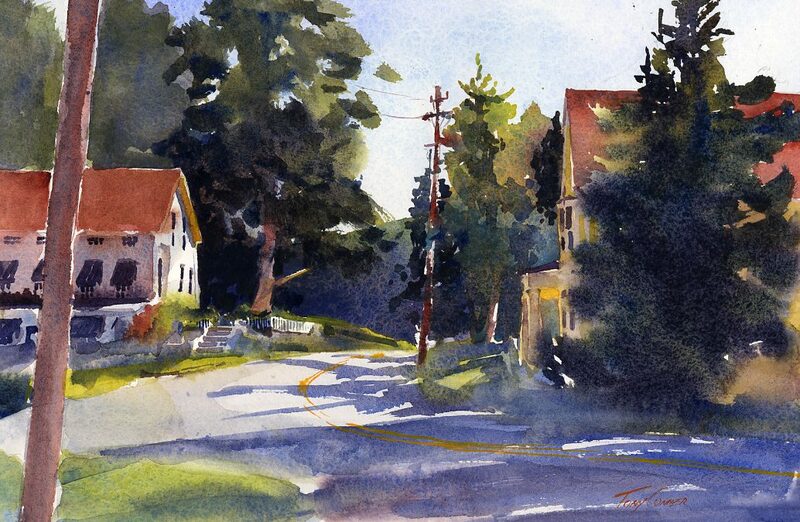 Valley Arts is honored to have the nationally acclaimed watercolor plein air artist, Richard Sneary, NWS as the Judge of Awards for 2018. The generous sponsorship by Valley Arts corporate partner, Lareau Farm Home of American Flatbread, enables Valley Arts to make this exhibition free to the public.